Mechanical Engineering Department is one of the earliest departments established at the time of inception of the institute in the year 1995. The department currently offers an undergraduate program; B. Tech. in Mechanical Engineering and postgraduate programs in two specializations namely M.Tech in Advanced Manufacturing Systems,CAD/CAM which are approved by AICTE. Additionally, Diploma in Mechanical Engineering is offered in second shift for nearly 240 students. Currently the department has 40 faculty members and 7 technical staff who are well qualified and experienced. The faculty and students are members of various national and international academic forums of science and engineering like ASME, ISTE, IEEE, SAE etc. Also various Certificate and Vocational courses are offered to equip the students with additional skills relevant to the industry. Regular seminars, conferences and workshops are conducted in the department wherein distinguished academicians and industry experts take part for the benefit of both students and faculty. The state-of-the-art CAD/CAM Labs with computational facilities and resources both in terms of hardware and software are used by both UG and PG students. The 93 computing systems and workstations are loaded with wide range of software covering all areas of mechanical engineering, such as CATIA, IRONCAD, AUTOCAD, INVENTOR, ANSYS, EDGECAM, GIBBSCAM, MATLAB, FLEXSIM, AUTOMOD, MINITAB, CNC OFFLINE SIMULATION SOFTWARE etc. The other laboratories in the department include Fluid Mechanics and Hydraulic Machinery, Thermal Engineering, Heat Transfer, Metallurgy and Instrumentation, Workshop, Production Engineering, Automation and Robotics, Machine Tools, Metrology etc., All these laboratories are well equipped to learn by doing. 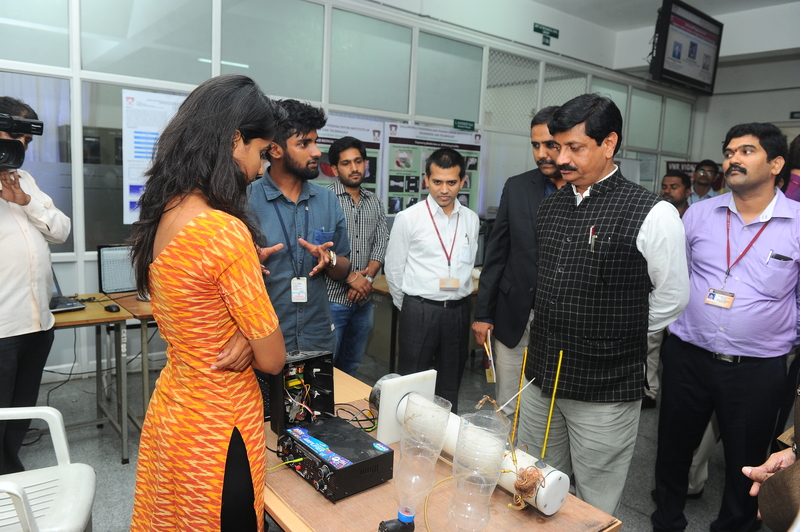 The students participate in various national and international competitions under the department student chapter ASME and have won various distinguisehd prizes and awards nationally . ASME chapter of the Department has designed and manufactured various differernt innovative projects over the years and have gained great stature. More details about ASME-VNR VJIET can be found at www.asmevnr.in.